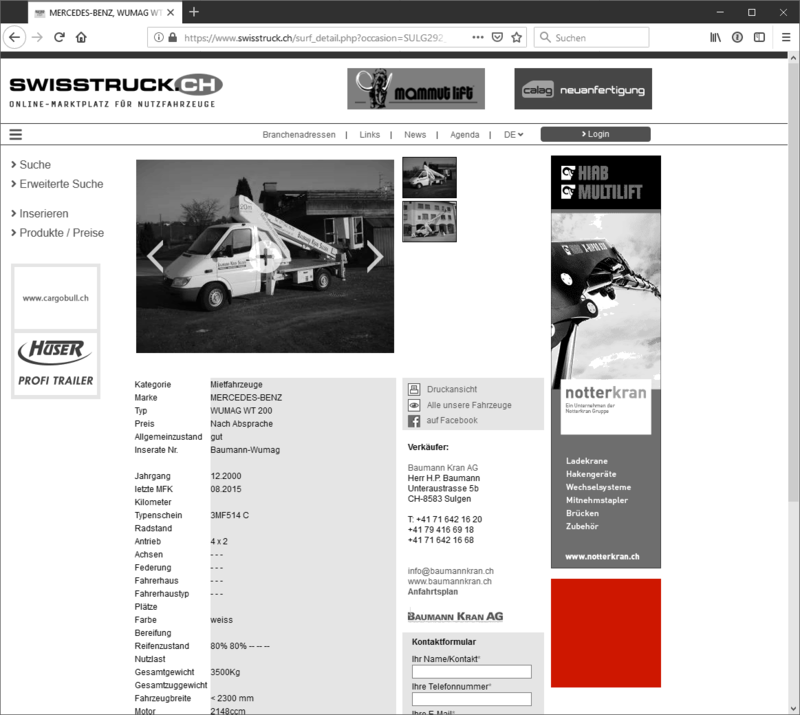 The following prices (plus VAT) and the following periods apply for companies and private individuals in Switzerland and Liechtenstein wanting to sell their commercial vehicle by advertising on www.swisstruck.ch. Click here, to advertise a commercial vehicle. Advertising contract offers direct access to a personal data account where you can administrate (enter/delete) vehicles. The whole system is easy to use and it takes very little time to enter vehicles and even less to delete sold vehicles. You can make changes to vehicle data at any time without spending much time. Each vehicle is published under the name and address of the owner and linked with their e-mail address. Companies in various locations have to have a Advertising contract facility for each business. 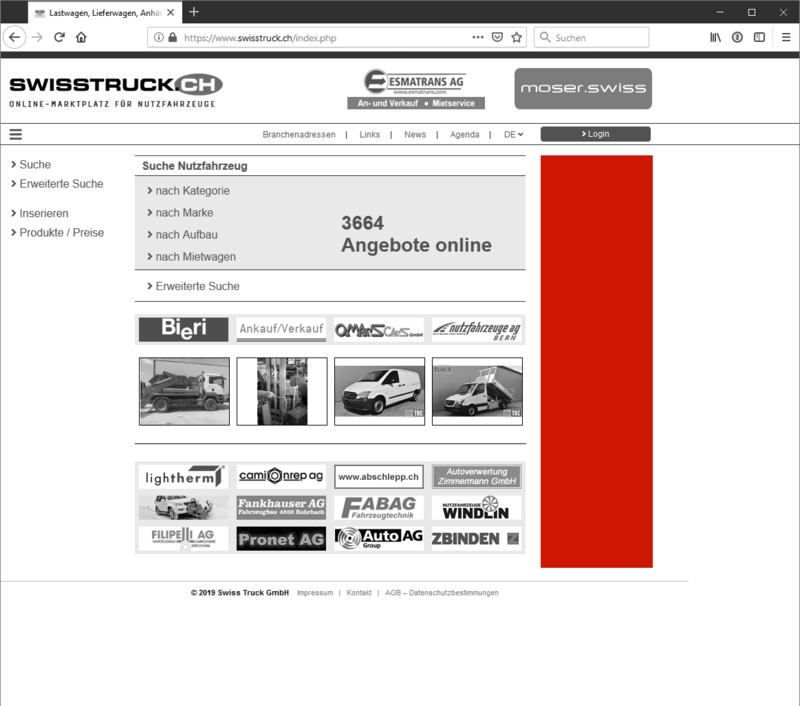 If you want to advertise your commercial vehicles with a dealeraccess, please click here. We look forward to getting to know you (only for companies and private individuals in Switzerland and Liechtenstein). 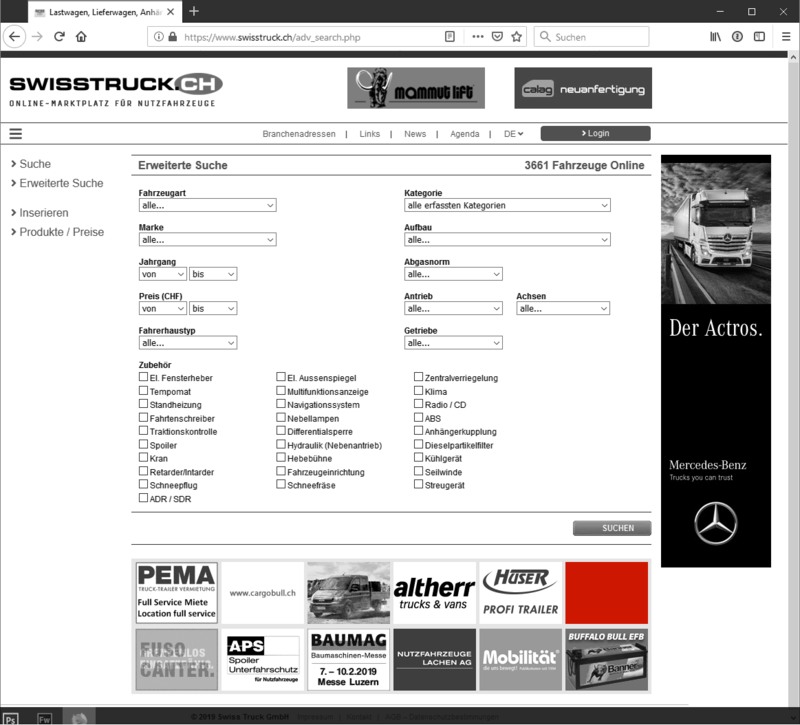 swisstruck.ch offers you many different online forms of advertising. Take advantage of our range and success. Advertise at a good price in a place where you can make contact with your target group. 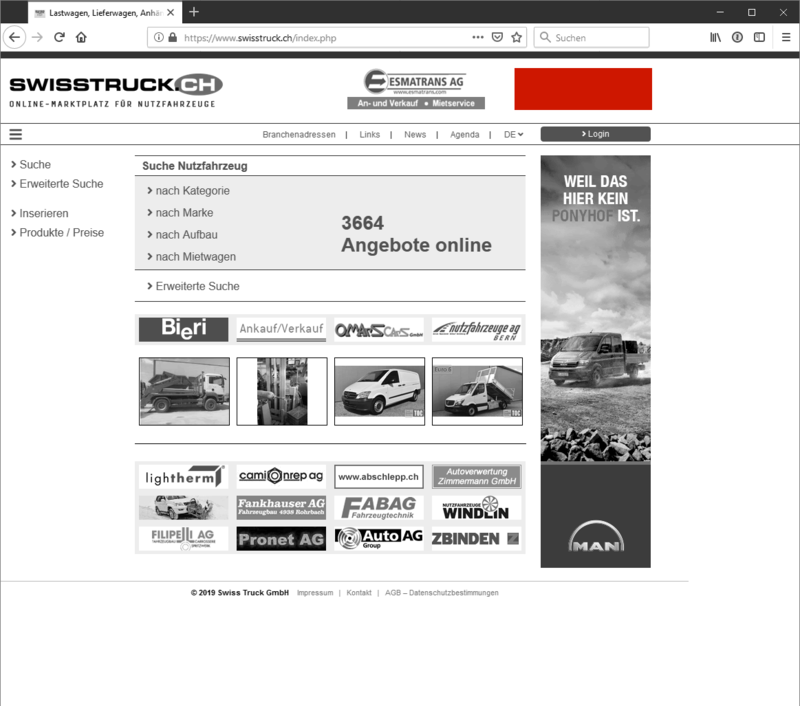 Top banner - the advertising space at the top of a web page. Premium banner - the small but attractive advertising space. You don't have a banner? - No problem: our web designers will be only too pleased to design a banner according to your wishes and offer you appropriate advice.